Owning and operating a forklift truck naturally involves many different costs. There's naturally the upfront cost of the machine itself, or regular payments if it's financed, as well as costs for routine or avoidable service and maintenance, and downtime. 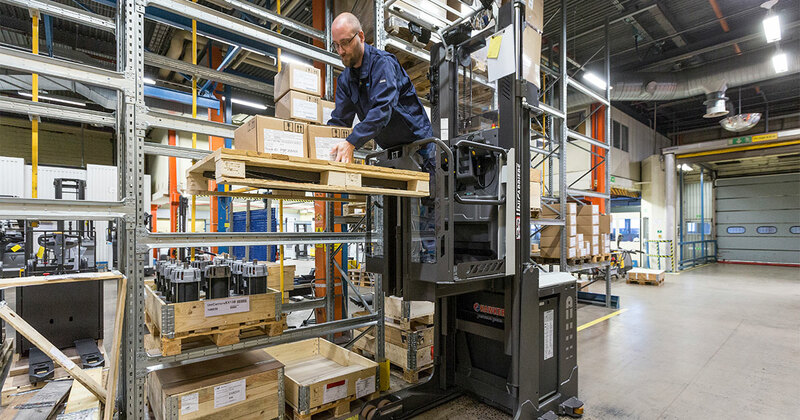 Over the course of its life, the total cost of operation for a forklift truck can be much more than the figure on its price tag. But by far the biggest cost related to forklift operation isn't actually to do with the truck itself, and it's one you can significantly reduce with some smart decisions - it's the driver. But a forklift needs a driver! But when they make up such a large part of the total cost (around 70%, to be precise), how can you bring down your costs? The answer lies in ergonomics, training and safety. To find out more about how these three elements could boost your bottom line and keep staff safe and happy, click the blue button below. Our guide will show you the importance of thinking about the total cost of ownership, rather than just the truck cost, when you’re choosing equipment.